This was Charles Tolliver’s first album as a leader. The setting is unique only because his second Freedom-Black Lion album “The Ringer” and all of his subsequent albums on Strata-East featured his quartet Music Inc. with pianist Stanley Cowell. Here he is surrounded in quartet and quintet formats with a truly stellar cast of the leading players on the New York jazz scene. Charles plays the role of leader, composer and trumpeter. But it is surely that last role that deserves the most attention. The trumpet is a brass instrument that leans toward a hard sound and staccato phrasing. Yet Tolliver is the quintessence of fluidity. While it may be undeniable that he has learned from his musical heritage and past trumpet masters, a trumpeter of such flow, tone, control, lyricism and creativity is, by definition, a major musician. 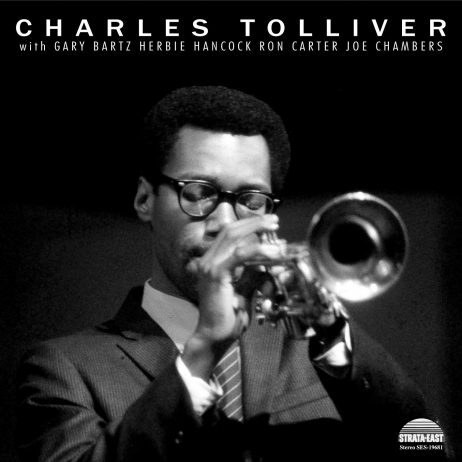 Charles Tolliver first came to the professional jazz scene in the mid-sixties, when he first met Jackie McLean. Under McLean’s leadership, he played on a number of Blue Note record sessions, some of which have yet to be released. He contributed original tunes to many of those sessions. Within a couple of years, Tolliver was a well known figure in New York circles, playing and/or recording with Booker Ervin, Archie Shepp, Andrew Hill, Roy Ayers, Art Blakey, Sonny Rollins, Willie Bobo, Gerald Wilson, McCoy Tyner, Hank Mobley, and many others. His compositions were getting recorded by many artists. He gained his greatest recognition during a two year stint with the Max Roach quintet that also included Gary Bartz and Stanley Cowell. There is also a previously unreleased bonus track of the song, “Repetition”, recorded by Charles for this LP which will be included on this new release of the album. This song was originally made famous by Charlie Parker’s LP With Strings.